Liverpool and Tottenham are both interested in signing Javier ‘Chicharito’ Hernandez. The Premier League duo are planning rival offers to bring the former Manchester United striker back to England, as per the Mirror. Both teams will be looking to submit an offer come January the 28-year-old’s services. Chicharito joined Bayer Leverkusen back in 2015, and has been in good form for the German club so far, having scored 33 goals in 60 appearances. The prolific forward made an instant impact in the Premier League, by scoring 20 goals for the Red Devils in his first season in England. In 2014, he went on loan to Real Madrid, where he made 33 appearances in all competitions, scoring 9 goals. Hernandez has a contract with Leverkusen till 2018, and a reported buyout clause worth £33m. Liverpool striker Daniel Sturridge is out injured again, and hence, the Reds will have to look for a new striker replacement very soon. In addition to that, Coutinho is also injured, whilst Sadio Mane is set to leave for AFCON in January. 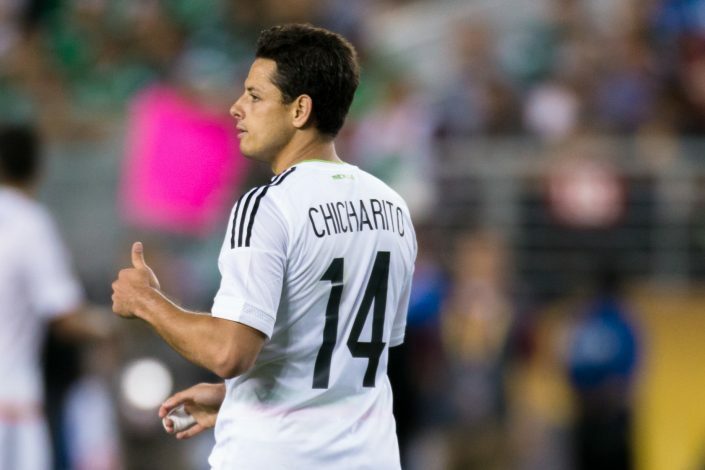 Spanish side Valencia has also identified Chicharito as their primary target. The La Liga outfit are currently in the bottom half of league table, and will be looking for a goal scorer to save themselves from being relegated. Meanwhile at Spurs, their summer signing Vincent Janssen, who was expected to complement Harry Kane, has been in poor form, thereby tempting the club to look for a new option. There is no doubt that a proven goal scorer like Chicharito is an ideal solution for both clubs.